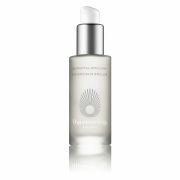 Rejuvenate your complexion with the Omorovicza Queen of Hungary Mist; a weightless, delicately scented formula that delivers multiple benefits to skin. Enriched with Apple Pectin and a nourishing blend of Rose, Sage and Orange Blossom Waters, the refreshing mist balances and hydrates, whilst the brand's patented Healing Concentrate™ infuses minerals deep into skin to promote a firmer, younger-looking visage. Inspired by the Queen of Hungary Water - the world’s first recorded perfume specially formulated for Queen Elisabeth of Hungary in the 14th Century - the non-greasy spray can be used as a purifying post-cleanse toner, or as a revitalising spritz throughout the day to soften and replenish. Housed in a limited edition bottle inspired by the interior of the Rácz spa in Hungary. 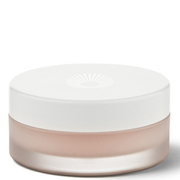 Rociar sobre el rostro a una cierta distancia por la mañana y por la noche después de la limpieza facial o cuando la piel necesite refrescarse o los ánimos necesiten revitalizarse.